When I speak to friends who prefer iPhones over Androids, many of them cite “ease of synchronization” as one of their most important reasons. I have to hand it to Apple on that point: even though they like to create exclusivity with their products, they make integration between their products very easy – in particular, syncing from iTunes to a mobile device. But what if you have an Android? Maybe you’re hesitant to switch to Android Switching From iOS To Android? Here's What You Need To Know Switching From iOS To Android? Here's What You Need To Know Having recently decided to abandon my iPhone in favor of an HTC One X, I'm in the unique position of being "behind the enemy lines" already. If you're as frustrated as I am by Apple's... Read More because all of your media is on iTunes and you’re afraid of losing all of that by moving away from your iPhone. Or maybe you use Android but you prefer iTunes as your desktop media player. 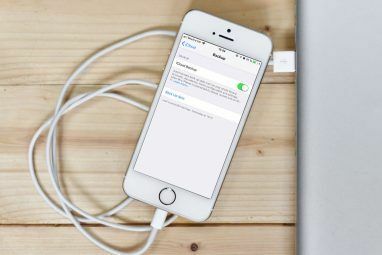 Either way, syncing from iTunes to Android can be a pain in the neck, but there are a few apps that may ease the process for you. Easy Phone Tunes runs as a two-part setup: a desktop program that can read your iTunes data and an Android app that receives all of the sent data. This is a no-frills app for sure, void of any eye candy. This is as bare-bones as it gets, but that doesn’t mean it’s bad by any means. I consider the minimalism to be a plus. Without all the bells and whistles, using Easy Phone Tunes ends up being a very straightforward process. You run the desktop program, start up the Android app, click the big synchronization button, and everything is taken care of for you. It’s pretty much impossible to get it wrong. That’s how easy it is. This app is great because it can transfer the entire iTunes library or only select playlists, which offers a bit of flexibility to you based on how much data you need transferred. Unlike iTunes to Android Sync, which only runs on Windows, Easy Phone Tunes runs on both Windows and Mac. 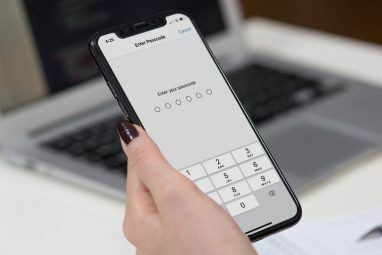 The one downside is that, while this app can sync tracks purchased from the iTunes Store, it cannot handle DRM-protected tracks How To Free Your Music From The DRM Copy Protection How To Free Your Music From The DRM Copy Protection Read More . iSyncr is a powerful media synchronizer for Android and it interfaces well with iTunes, but it costs $3.99 USD. Thankfully, they have a Lite version that still works for iTunes-to-Android syncs. As it turns out, iSyncr is created by the same team that developed Rocket Player Take a Break From the Mainstream Music Apps and Try Rocket Player [Android] Take a Break From the Mainstream Music Apps and Try Rocket Player [Android] When it comes to Android music players, there are a few big names that everyone likes to throw around - e.g., Winamp and doubleTwist - but popular isn't always the best. Recently, I heard about... Read More , which I recently reviewed and loved. Sync with WiFi or USB connections. Sync with multiple iTunes libraries. Sync your Android MP3s back to iTunes. Automatically sync your devices with scheduled syncs. What are the limitations of the Lite version? You can only synchronize one playlist at a time and playlists are capped at 20 songs each. If you want to synchronize smart playlists, the Lite version doesn’t synchronize the play counts on the songs. That’s it in terms of limits. Depending on how you use your music, those limits might hurt you a great deal or not affect you at all. SyncTunes Wireless shows up on Google Play as “iTunes to Android Wireless” so don’t get too confused. Like the previous apps on this list, SyncTunes Wireless works by transferring your iTunes data (e.g., music, videos, podcasts, etc.) over WiFi. It does not play music nor does it download music from the Internet. Personally, I think the interface is a bit ugly and therefore hard to navigate. You’ll need to install both the desktop program and the Android app, but they’ve written a full “how to get started” guide on their website to aid you through setup. One cool feature is that you can set filters on the songs you synchronize. For example, you can set it to only sync songs after a specific date or songs that are under a specific time length. On the other hand, this app is only available for Windows and it does not properly handle DRM-protected tracks. On top of all that, this app is split between a Free and a Premium version. The Free version has a 100 track/song limit and only one playlist. The limits can be removed by upgrading to Premium which costs $3.25 USD. Personally, I think it isn’t worth the price and you should only consider this app if the previous two in this list don’t work for you. Of the three choices laid out here, I believe the best overall app is Easy Phone Tunes. Not only does it have the broadest appeal (it’s available on both Windows and Mac AND it’s really easy to use) but its feature set is complete and doesn’t leave you feeling like you deserve more. iSyncr Lite came in at a close second, but the Lite version limitations were too much for me. If you have the will to upgrade to the Premium version, though, I think iSyncr blows all of its competition right out of the water. Do you know of any other iTunes-to-Android synchronization apps that I missed? Please share them in the comments! I can find the easy phone app on google play. Any suggestions? I was thinking about buying Easy Phone Tunes Plus, but then I realized that this is the same company that released Easy Phone Sync, which - they claim - syncs contacts, music / playlists and podcasts with iTunes. My experience was different: For contacts, only the email addresses were actually synced, podcasts were not synced at all. If one product of the company does not work, I will not buy a second which looks exactly the same. ...and an hour and two tests later: Thanks especially for mentioning iSyncr. I am impressed. Not only that it synced exactly those music files and podcasts I told it to (music in playlist x only, oldest unplayed podcasts from a selection), it does this over USB and WiFi. And combined with Rocker Music Player from the same company, it almost looks like my old iPhone podcast player, and I can continue to use iTunes as my podcast catcher. The podcast apps I have seen on Android may be nice, but only usable for a very special situation: Listening to the latest episodes. I have 400 GB of technical podcasts on my iTunes hard disk and listen to those episodes (sometimes a year or more old) when I need to - something I only can do on an Android phone with iTunes and iSyncr, it seems. Thanks very much indeed for making me aware of iSyncr - I sure would not have tested the app based on the Google Play description, after my experience with Easy Phone Sync. I hate those ad links in the middle of an article. Downloaded thinking it was the actual program, yeah, stupid of me specially since I know better, and now I have a virus. 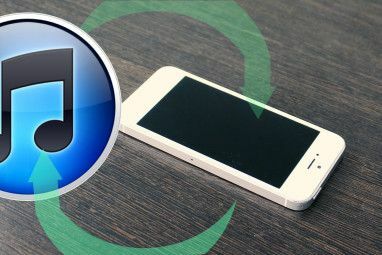 How can I transfer DRM protected music from iTunes to Android? Just bought the Galaxy S$, used Double Twist and it worked fine (cost $5), but now we are trying to send our music to Apple TV. Anyone had luck with that. None of these seem capable of accessing music from your itunes library on remote computers, so if you're a major sperglord like me, sperg harder, I guess. Also, check the access privileges on synctunes. Jesus. Thank you for helpful review. The next question is the best way to sync Microsoft Outlook contacts, calendar, and tasks to android. Do you know anything about Android-Sync? Any advice would be appreciated to a frustrated non-techie. iSyncr is a great solution to sync over USB (MTP or UMS) & WiFi. Something that all other apps fail to do. 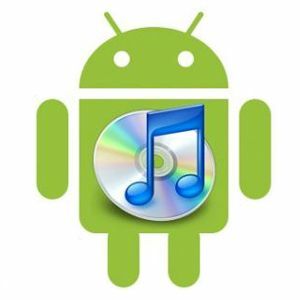 I buy my music on iTunes, always have, always will - iSyncr allows me to sync Android to iTunes quick and easy. how you get it to work on pc i dont know? have been trying to work it all day but this just isnt working! will be the last thing i buy thats apple! Take a look at this tutorial and contact JRT Studio support if you are having issues. Having tried all the apps reviewed (with varying degrees of success). (As an Xperia T user) I have decided to go with Sony's official offering called Media Go, which is a full desktop media player (in a similar vein to iTunes), available for Windows and Mac. Media Go will offer to copy then "watch" music folders (including iTunes) so as to keep your music libraries up to date. It will sync photos and video and allow you to create playlists and photo albums. You can also transfer from your phone to pc. However i found setting up to be quite a fiddly process (i consider myself to be reasonably tech savvy) and the Help section isn't quite as helpful as it could be. Media Go is not available for Mac, sadly. When my parents got a Nexus 10, I installed the Google Music manager app (forget what its called) on their PC, and it uploads/syncs all their iTunes music to the cloud. Of course, using the cloud isn't always the most convenient option, but on a wifi-only tablet used mainly at home, it's fine. I use The Missing Sync for Android to sync to my SGS3. Its expensive, but it syncs more than just iTunes to Android. I was looking for an app to sync iPhoto to Android and didnt have much luck finding anything. Maybe that could be your next Google Android Tip? How about Doubletwist..I've been using it since I had an iphone earlier and now own a Galaxy S2.